News: British architect John Pawson has designed 26 high-end apartments for a new leisure complex at Miami Beach. Many of the residences will occupy the top floors of The Miami Beach EDITION, a new hotel under development within the structure of the former Seville Beach Hotel, which opened during the 1950s but closed its doors in 2006. The remaining apartments will be located within an 18-storey tower that has recently been constructed alongside. John Pawson's designs are for residences surrounded by floor-to-ceiling windows, which will lead out to expansive terraces featuring swimming pools, fireplaces and outdoor kitchens. The apartments will also feature a dedicated entrance, including an additional private route intended for the use of celebrity residents. Bathrooms will be furnished with concrete bathtubs and sinks, while bleached teak flooring will run throughout. Rooms will be kitted out with all necessary furnishings and homeware, from bed linen to kitchen utensils. The project was commissioned by New York developer Ian Schrager, who launched the Delano hotel on South Beach 15 years ago. Pawson, who is based in London, is also currently working on the final stages of the new Design Museum under construction within the former Commonwealth Institute building in London. See more stories about John Pawson, including an interview we recorded with the architect in 2010. Ian Schrager is back in Miami Beach for the first time in 17 years since the launch of his game-changing Delano hotel. Delano ushered in a new modern era and rebooted Miami Beach as a top resort destination. It was the first new hotel to come along since the 60’s, and it was truly groundbreaking. It attracted those who had previously abandoned Miami Beach for more exciting vacation locales. Now, with the city on the brink of yet another resurgence, Schrager introduces his next groundbreaking project that captures the spirit of the times again, just as the Delano did. Miami Beach is no longer simply a resort destination, but is fast becoming a bonified, world-class, international city with its vibrant art scene, first-rate architecture and cultural institutions attracting global citizens from all around the world. It is now a city second to none. With this new coming of age, Schrager heralds in this next era and raises the bar once again. This time for residential Miami living—introducing homes fit perfectly for and worthy of this new generation of global citizens. Just as Delano reshaped the landscape and had a groundbreaking cultural impact on Miami Beach, so will The Residences at The Miami Beach EDITION. These 26 limited edition residences set themselves apart from anything else in Miami Beach and are the most unique and distinct spaces in all of South Florida. "There is simply nothing else like them currently in the marketplace. We tried to capture the details of life in the details of the architecture," says Schrager. All with commanding panoramic views, each of these sophisticated and stylish "Homes in the Sky" is a one-of-a-kind, custom one-off and different from the other. This makes them perfect for the new world traveler and global citizen looking to establish roots in the new Miami. 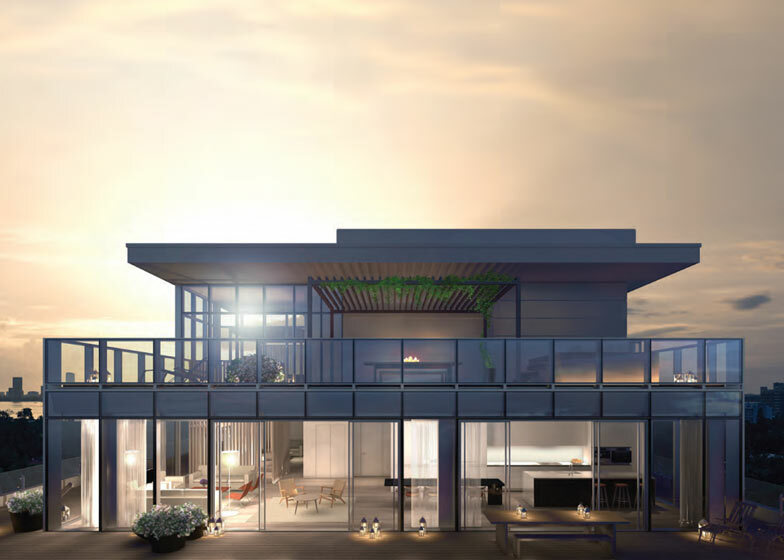 Designed by world-renown architect John Pawson, the residences will sit on the top floors of the existing, landmarked 1950s building that will be the Miami Beach EDITION hotel, as well as in an adjacent, newly constructed 18-story tower. Dedicated to the "Good Life", The Residences offer the best of all worlds: the privacy and individuality of a custom, one-of-a-kind home; the benefit of ownership; and exclusive access to all the services, privileges and amenities of a unique world-class urban resort, including a myriad of exciting and dynamic food, beverage and entertainment options. Although part of The Miami Beach EDITION, The Residences will have their own dedicated private entrance as well as an anonymous "celebrity" entrance, for ultimate privacy. Taking into consideration that people come to Miami to be outside, the outdoor spaces at The Residences are finally done correctly and are not merely an afterthought. Expansive "Outdoor Rooms" invite effortless continuity between indoor and outdoor living. Gardens literally in the sky are akin to those found in private residential homes. These extraordinary outdoor spaces feature private lap pools and plunge pools, outdoor kitchens, dining areas, fireplaces and pergolas designed by John Pawson. There is enough space for a private outdoor gym or to enjoy yoga, along with soaring panoramic views of both the ocean and the bay—a true rarity and a unique feature that showcases the bay and ocean during the day and the magic of Miami at night. Additionally, many of the homes in the new building feature expansive views of both the city and the bay while those on the top floors of the hotel have vast ocean views that make you feel as if you are standing on the deck of a ship. Pawson uses an unparalleled level of finishes and details to create interiors of maximum comfort, functionality and aesthetic pleasure. Generous living areas are light filled with floor-to-ceiling windows and bleached teak wood flooring throughout, including the balconies and terraces. Each residence has Pawson’s magic touch with custom designed, open Bulthaup kitchens with islands as well as master bathrooms with Italian white onyx translucent screens and custom-cast integral concrete bathtubs and sinks. It’s the art of living not the job of living. Schrager takes this concept to the next level by introducing "Residential Prêt-à-Porter" which offers residences in complete move-in condition… you only need to bring your toothbrush! For a seamless transition into a comfortable home, Schrager offers a once in a lifetime opportunity otherwise not available: custom interiors designed by John Pawson and the Ian Schrager Design Studio, including everything one would need in a household from linens to dishes, towels to cookware, all pre-selected, unpacked and put away prior to arrival. These unique homes, dedicated to the "Good Life", offer all the benefits of ownership, the services and amenities of a world-class urban resort, and a completely managed household without the bother of managing it or the full expense of maintaining it. Schrager continues to exceed expectations by recognizing what residents want and need before they even know it themselves—a home with the work taken out of it, ideal for resort living.